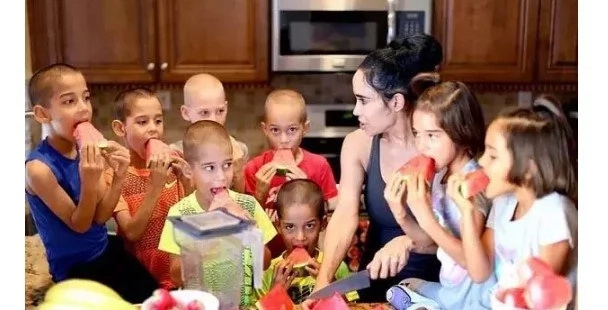 Natalie Suleman, better known as “Octomom”, was all over the headlines around the world when she gave birth to octuplets in January 2009, six males and two females. Suleman’s octuplets are the second birth of eight babies born alive in the United States. They surpassed the world cup of surviving octuplets. However, criticism began when Natalie admitted that she was living on government support. Before having the eightfold, Suleman already had six children. At the height of her fame, and as a single mother of 14 children to keep, Natalie appeared on magazine covers and on TV shows such as Dr. Phil and Oprah Winfrey’s show. Now Natalie wants to get rid of the image of the Octomom and wants to be known by her own name. “I had to kill Octomom to save my life, nobody hates Octomom more than I do” she said. Natalie says her eight-year-olds are happier than ever and she currently works as a counselor.